Visitors to New Zealand can expect to see a variety of clothing styles, although there is one colour that features prominently. Eva Maria, 21, a Commonwealth Correspondent originally born in Russia and now living in the Pacific nation, offers this guide for fashion-spotters. Dress sense can depict what someone does for a living, where they hang out, and their interests and occupation. New Zealand’s unique attire often intrigues tourists. The colour black, for example, will be heavily incorporated in most wardrobes, which is highly unusual compared to the rest of the world. Perhaps it is the lack of colour available to buy in local stores. Or maybe it is a subconscious loyalty to the ‘All Blacks’ rugby team. The traditional Maori costume is often depicted as males with a moko (a family face tattoo, which depicts the tribe they are from), sometimes a cloak and flax skirt (a plant commonly seen around New Zealand). The females are usually seen wearing tops woven from wool, in the traditional black, red and white patterns, and flax skirts. All this wouldn’t be possible without the greenstone necklace too – a piece of the Earth. The Casual New Zealander dress style incorporates black into almost every outfit. Kiwis (New Zealanders) need to dress warm due to a rather cold climate outside of the summer season, thus clothing brands such as the New Zealand Icebreaker, which has made its way into international markets, have a large customer base here with their warm jackets and woollen clothing for all ages. These are the ‘cool kids’ of the country. School-age kids and those under 25 can be recognized by their own sub-culture style of dress – e.g. the hipsters, gangsters, emos (a misunderstood and out-of-fashion stereotype, but it still rings true when you come across them), and the designer second-hand shop buyers. The typical outfit would consist of odd colours and shapes of clothing, and something really quirky (like a handbag that looks like a shoe!). You cannot quite describe the full style, because everyone has their own variation of it, but if you see something that’s been put together in an interesting way, it’s probably an Indie Kid (P.S. I love them!). We also have what we call ‘the suits’ who represent the corporates, consultants and local government workers. Self-explanatory. The good old farmer, with the hat and warm jackets, ready to dig into a day’s work on the farm. Woollen socks, gumboots, long (usually dark green) water-proof jacket, fishing hat, jeans and braces (the ones you wear instead of a belt), and a warm jumper. There are many types of people around the cities in New Zealand, and many include students who have a style that is similar to ‘the hipster’, but almost always accompanied by large bags to accommodate their laptop and textbooks. So, do you have these dress styles in your country? What are the similarities, and what are the differences that you can see? Offering a fresh look at the role of clothes in New Zealand history, Looking Flash examines what we wear and what we have worn – from the shrinking bathing suit to the black singlet – over the past three centuries. Fourteen historians, museum curators and researchers write about the way in which clothes reveal and identify, embody tradition and memory, are both local and global – showing that, despite a reputation for being wary of ‘looking flash’, New Zealand has not always been a dowdy country. Essays span the clothing of pre-colonial Maori society, marching girls and castaways, and include eighteenth-century heirloom dresses, hand-me-downs, wartime garb and kilts. There are also extraordinary stories about the fate of a Māori cloak and an Otago farmer’s remarkable collection of 1970s high-fashion garments. Richly illustrated with fashion photographs, advertisements and cartoons, Looking Flash provides an original pathway into our history and culture – and proves that clothing reveals as much as it conceals. Bronwyn Labrum is senior lecturer in the School of Visual and Material Culture at Massey University, Wellington. She was a Curator, History at the Museum of New Zealand Te Papa Tongarewa 1996–2000, where she was responsible for the textile and clothing collection and exhibitions. She is co-editor of Fragments: New Zealand Social and Cultural History (AUP, 2000) and has published widely on the history of women, welfare and museums. Fiona McKergow has been a researcher for Women Together: A History of Women’s Organisations and an editorial officer for The Dictionary of New Zealand Biography. From 1998 to 2001 she was social history curator at The Science Centre & Manawatu Museum (now Te Manawa), where she developed and promoted the institution’s clothing collection in a range of exhibitions. 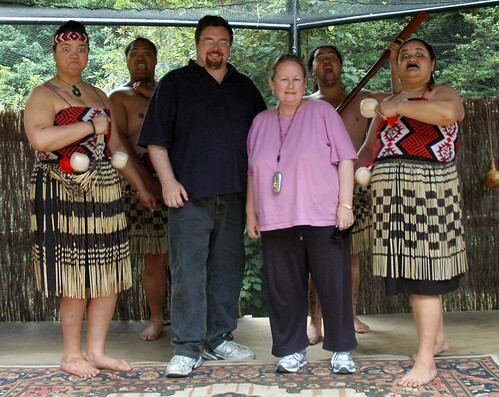 Stephanie Gibson is a history curator at the Museum of New Zealand Te Papa Tongarewa. Previously she was part of the redevelopment team for the Museum of Wellington City and Sea, and the first Collection Manager of the Adam Art Gallery, Victoria University. She has exhibited clothing in numerous exhibitions.